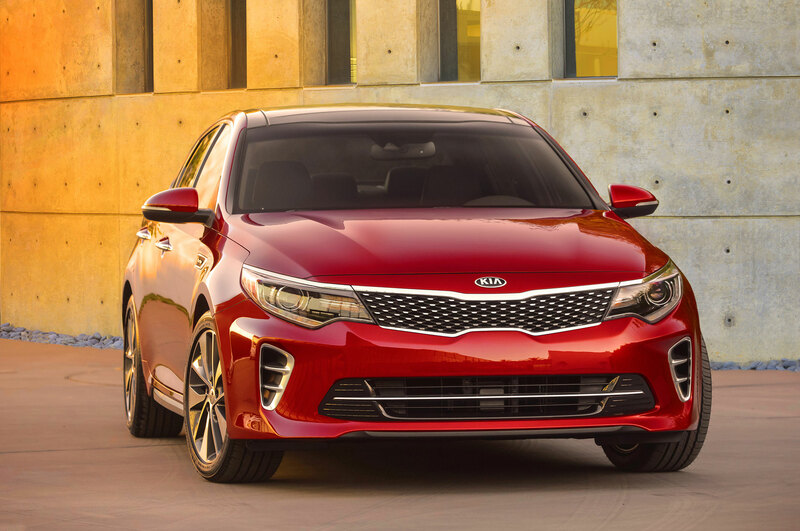 Midsize sedan becomes four-door convertible. 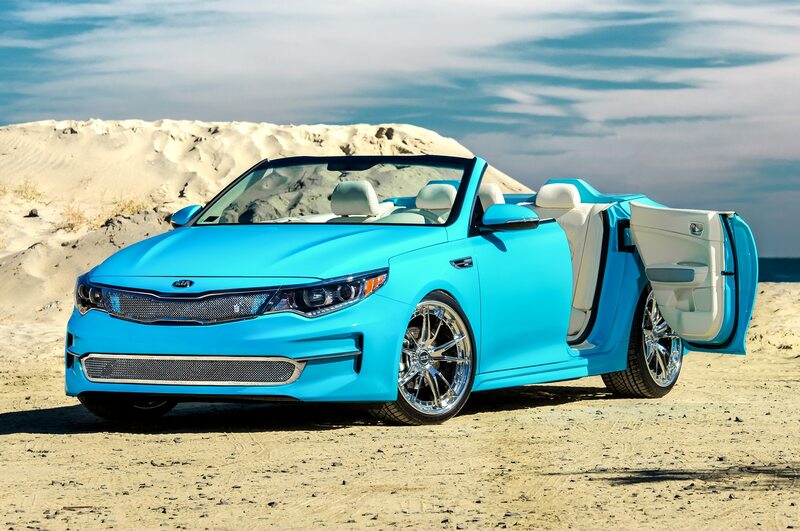 Just when we thought Kia engineers couldn’t top the craziness of a Raptor-like off-roading Sorento and a lifted Forte Koup mud-bogger, they prove us wrong. 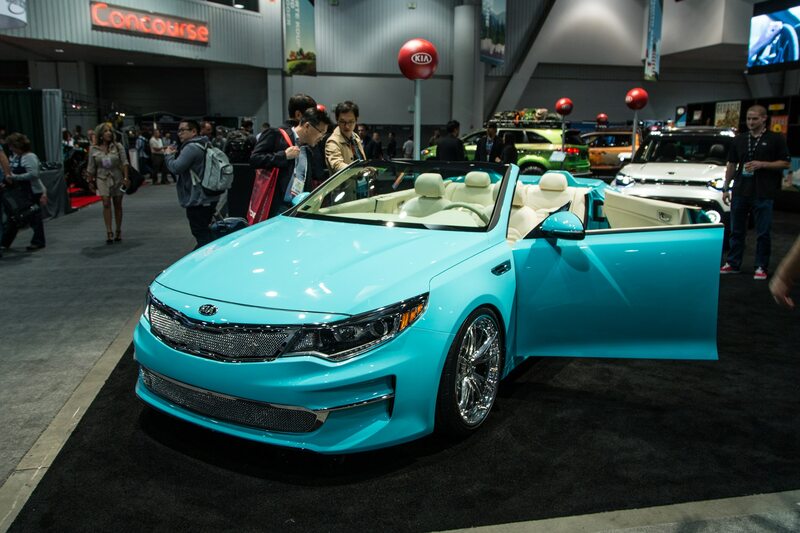 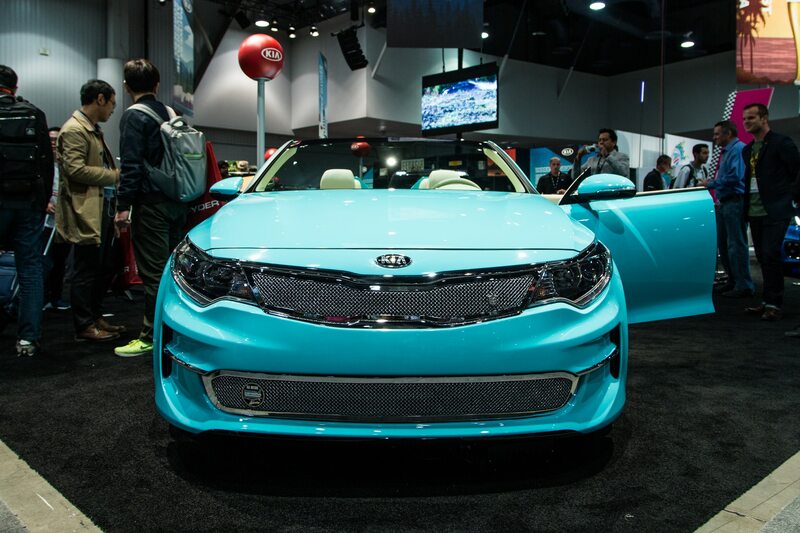 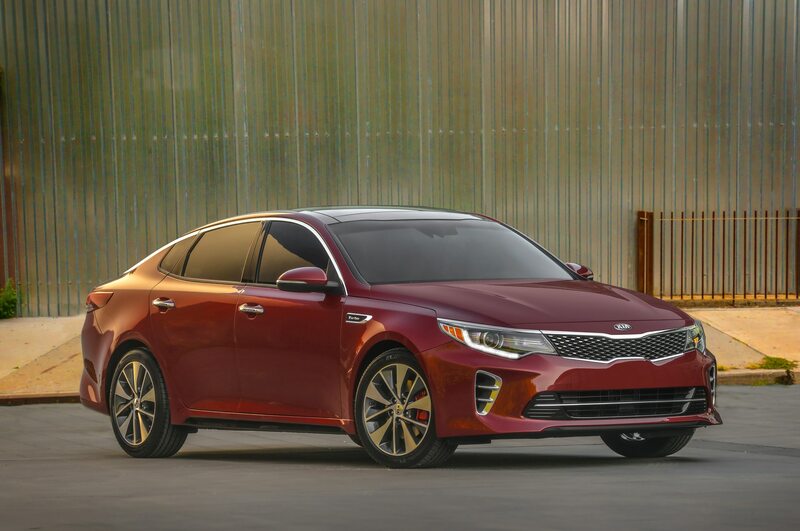 At this year’s SEMA show in Las Vegas, Kia will also show off a concept version of the 2016 Kia Optima that has been transformed from sedate sedan to four-door convertible. 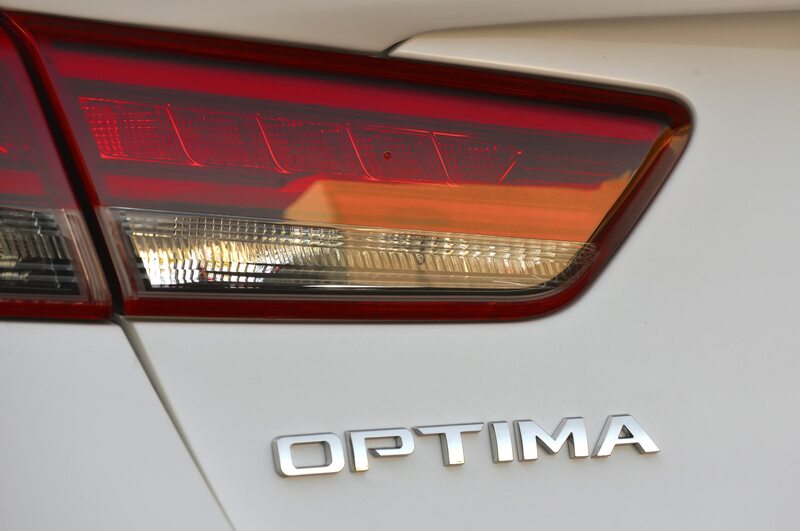 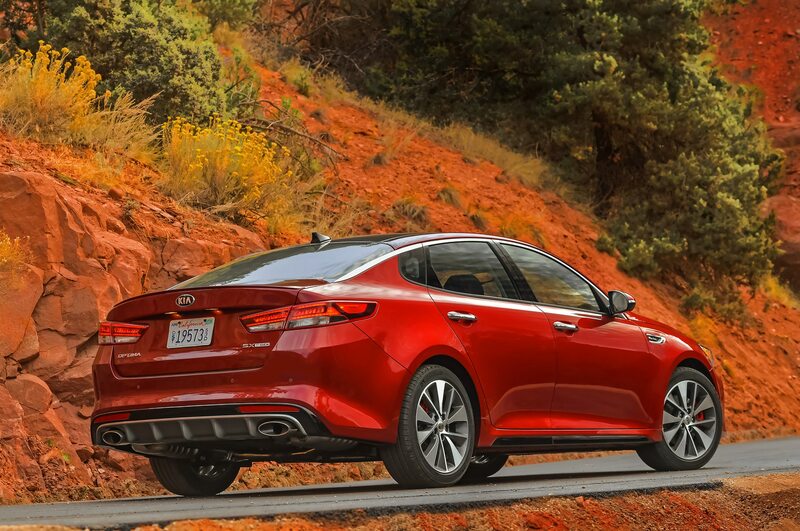 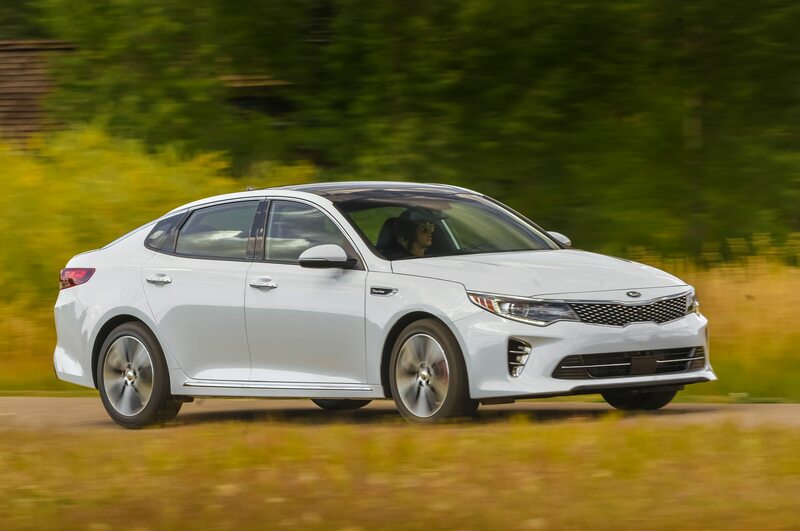 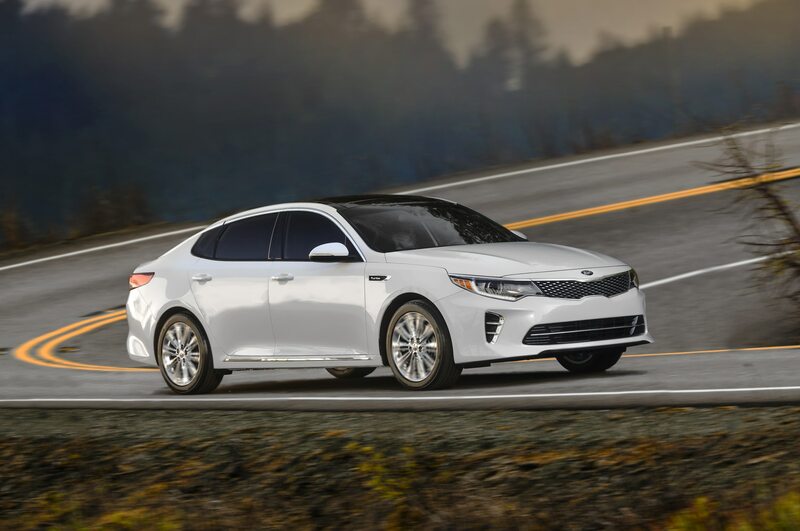 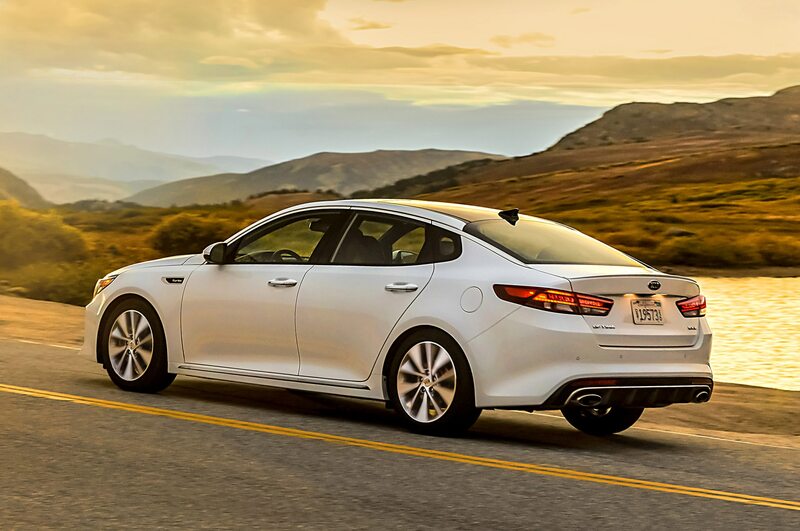 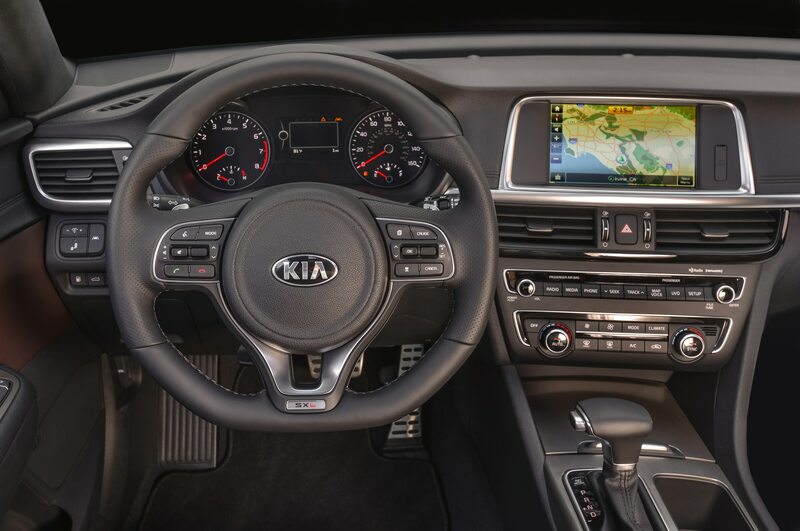 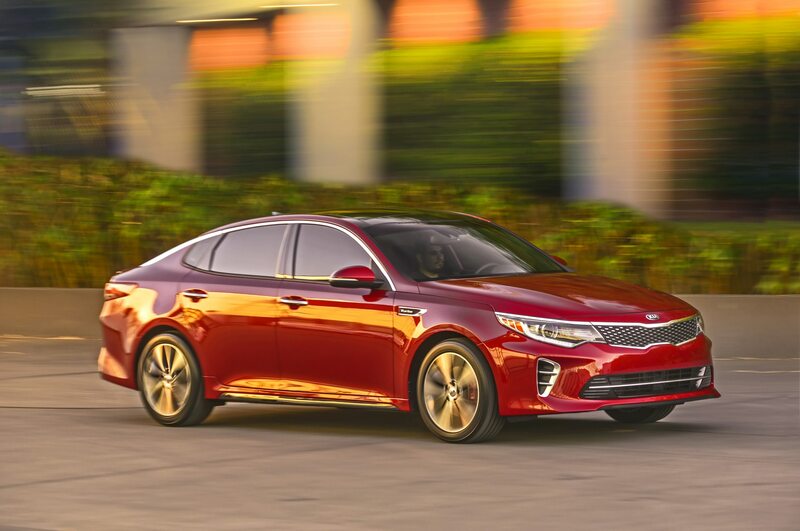 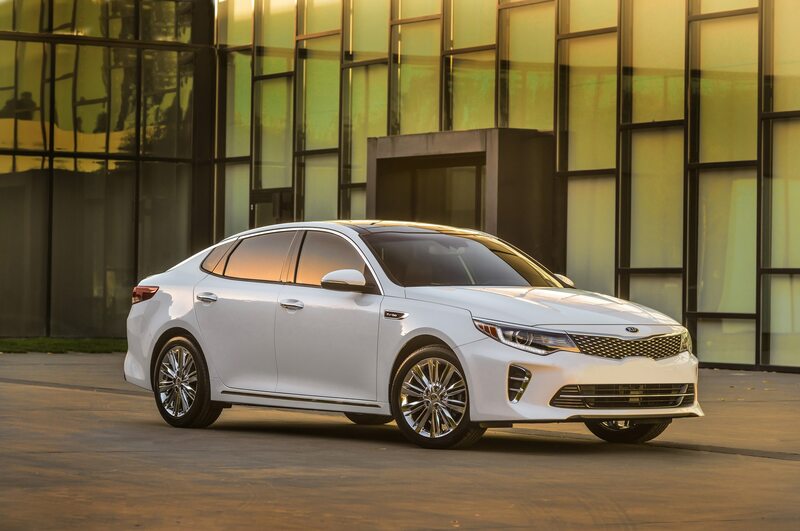 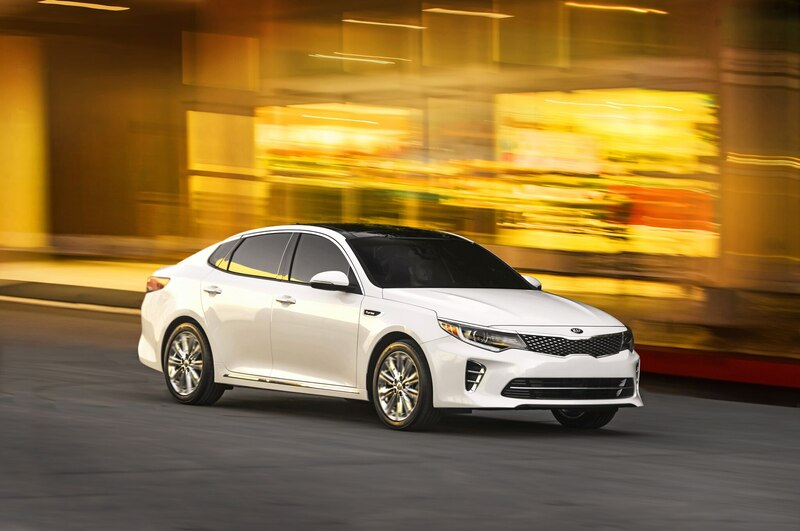 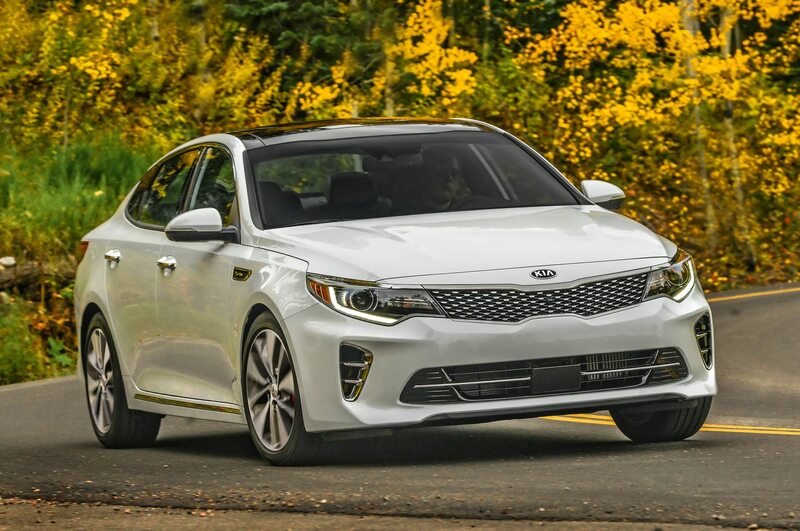 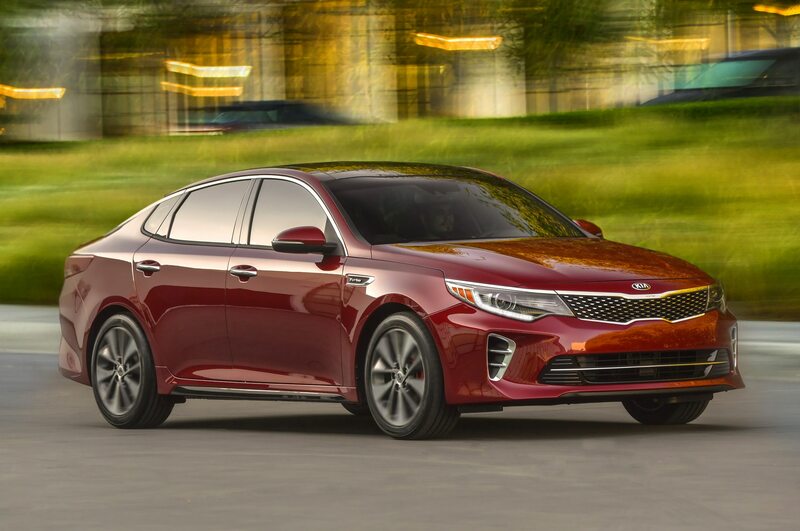 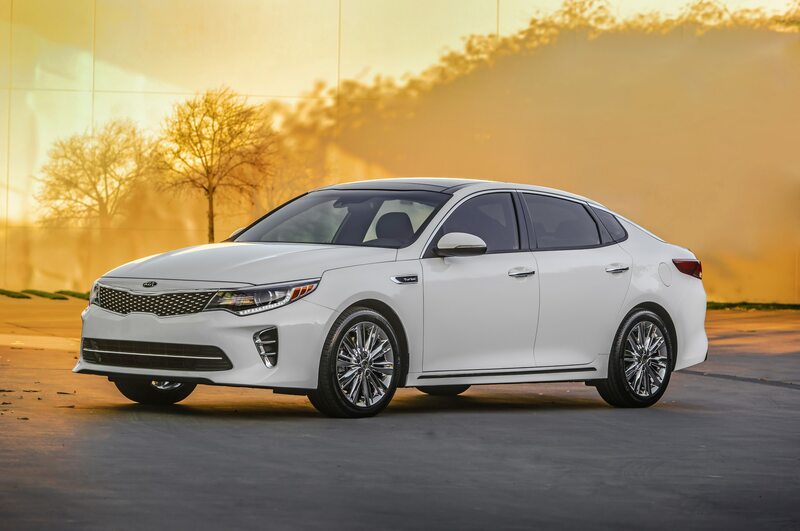 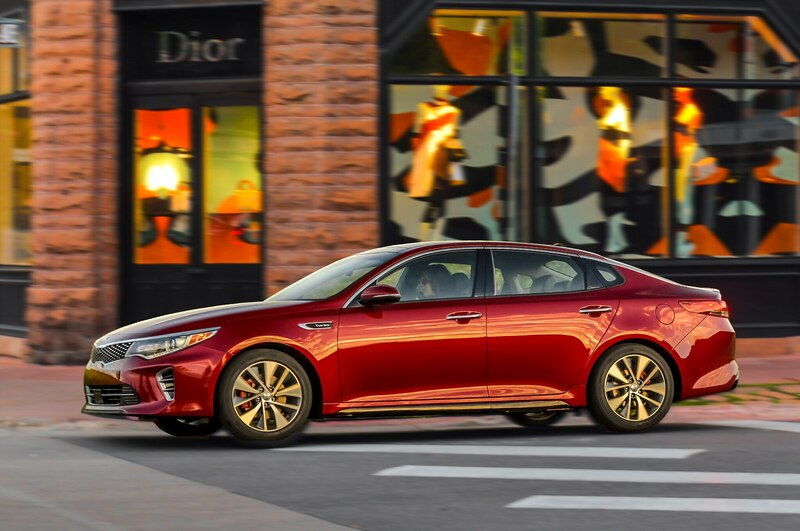 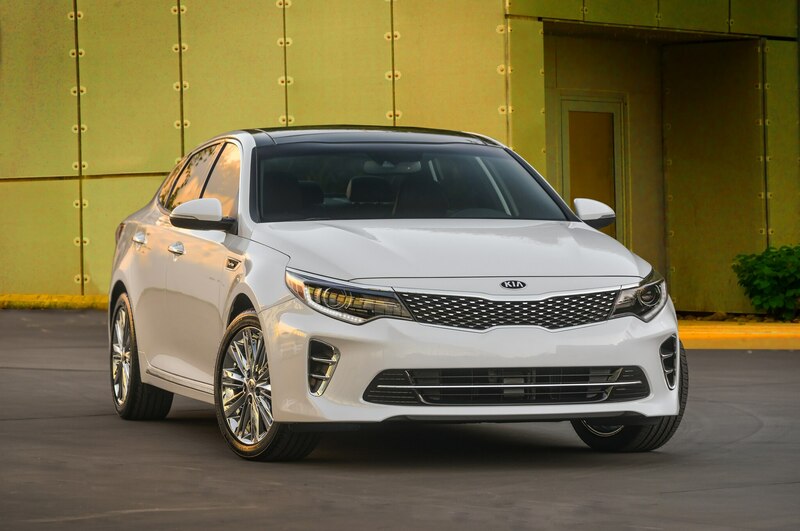 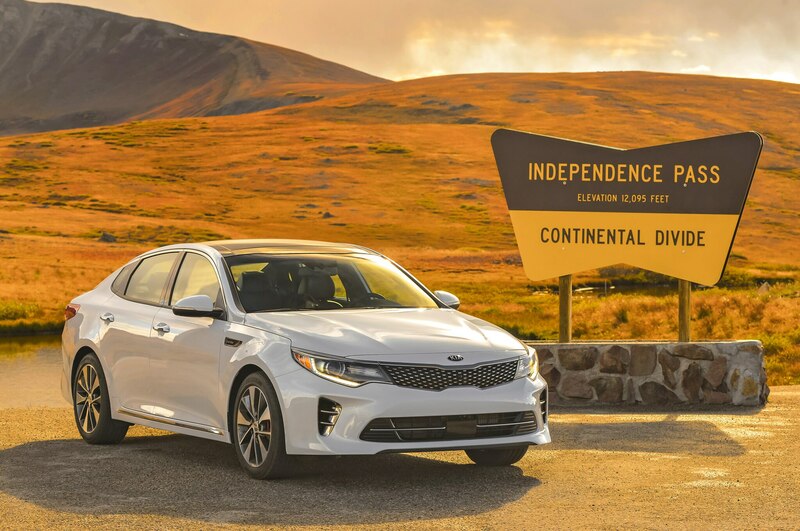 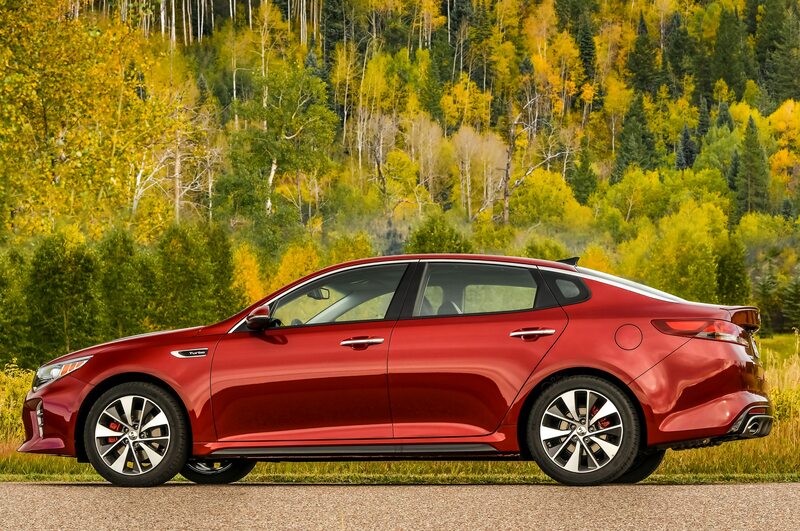 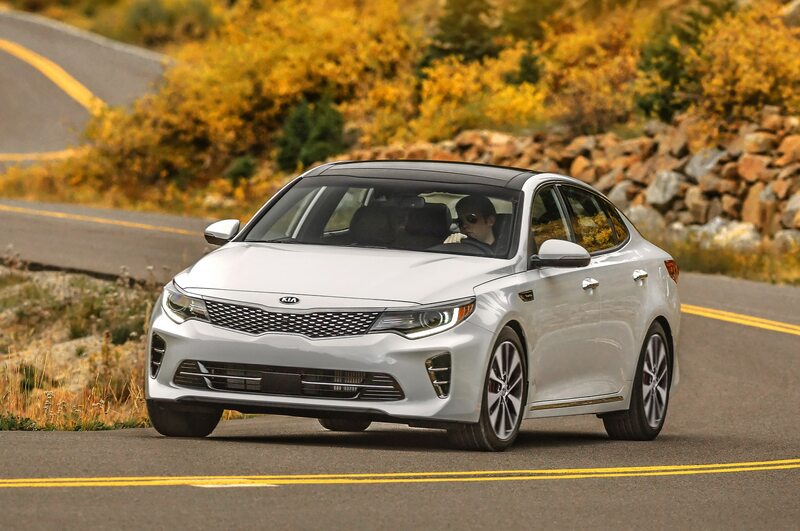 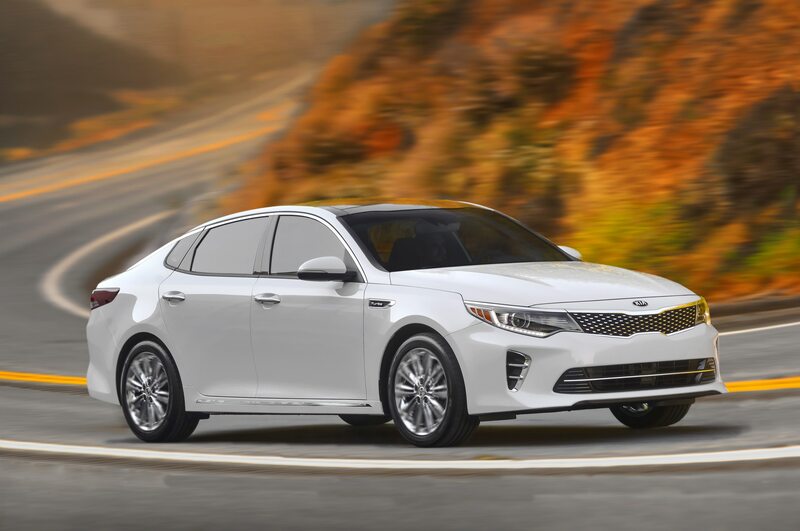 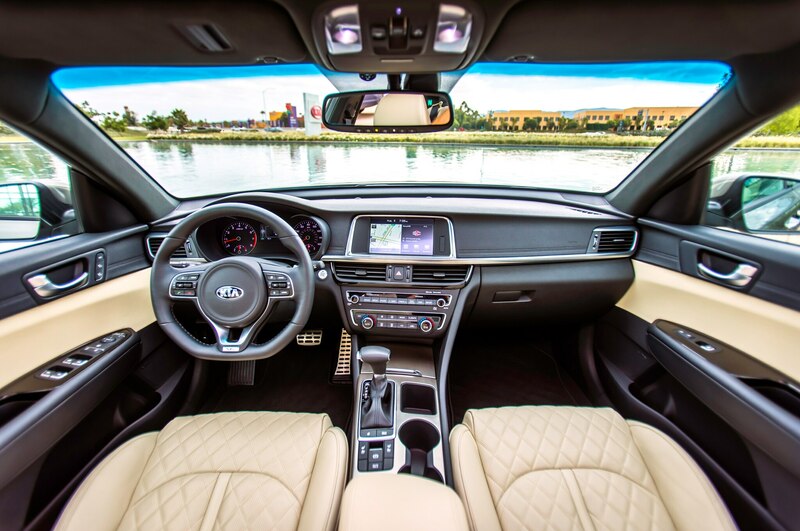 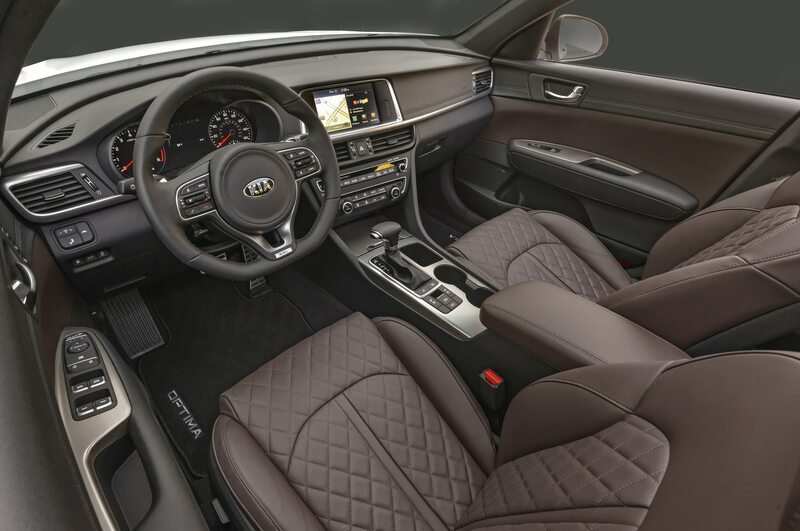 Starting with the redesigned 2016 Kia Optima and a vision of Florida’s sun-drenched A1A highway, engineers removed the car’s roof and shortened its windshield for a more rakish look. 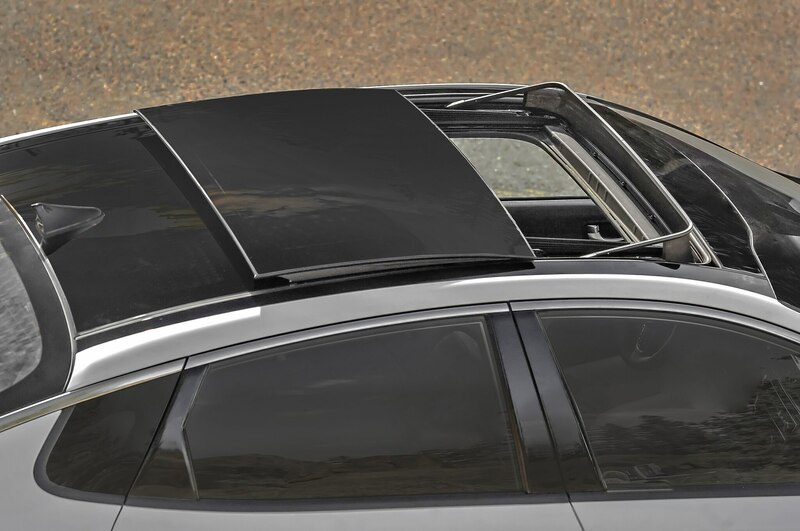 Extra steel reinforcement tubes help keep the body rigid despite the lack of the roof. 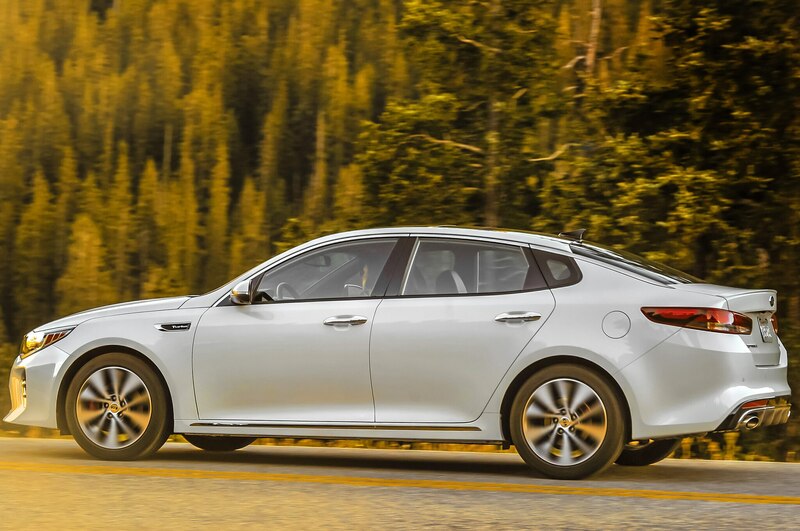 The back doors are now rear-hinged, which Kia says adds “a touch of whimsy and fun” to an otherwise totally serious vehicle. 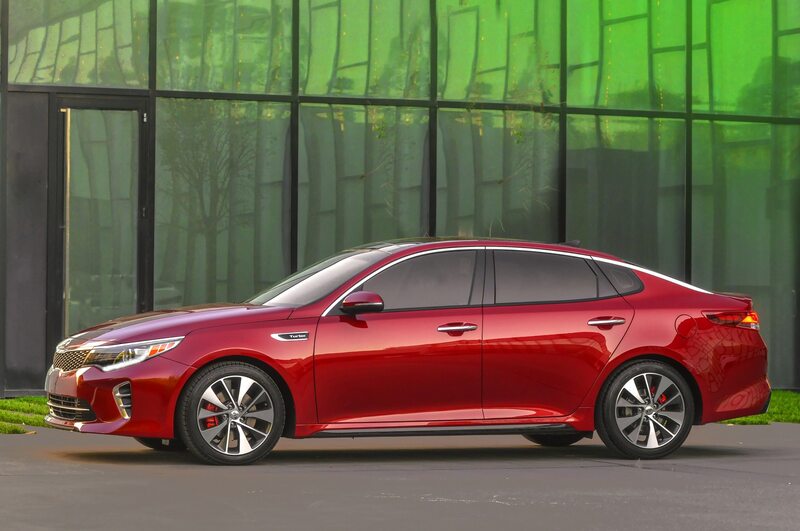 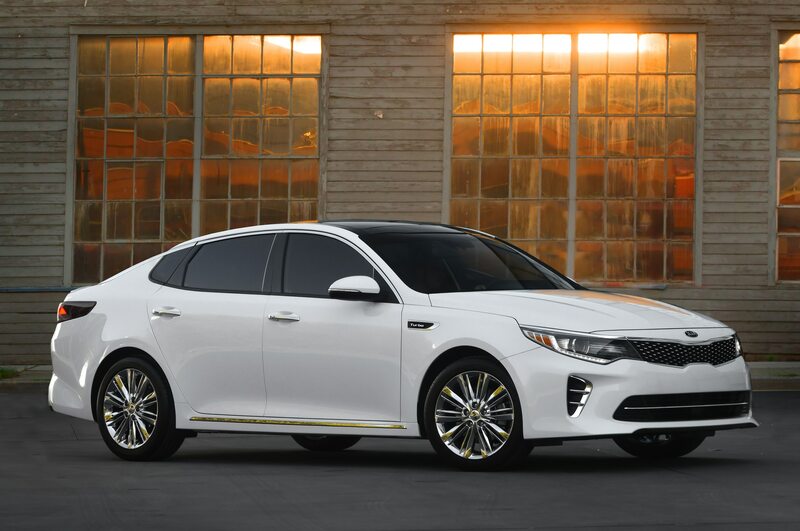 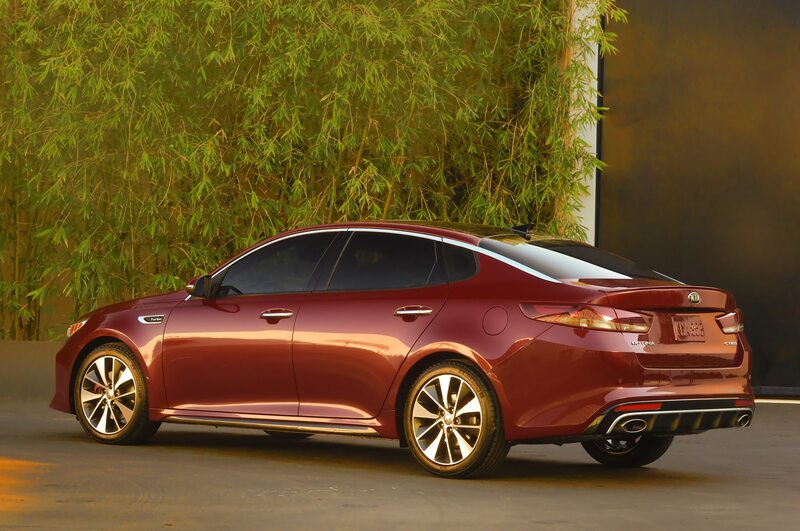 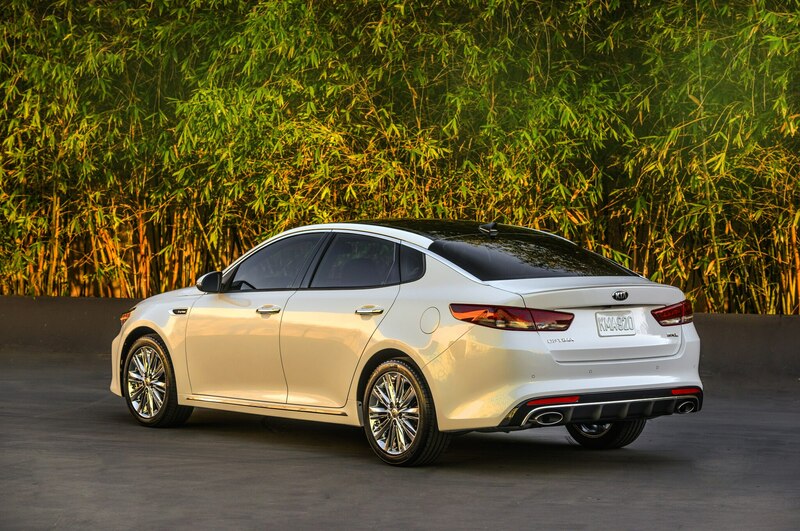 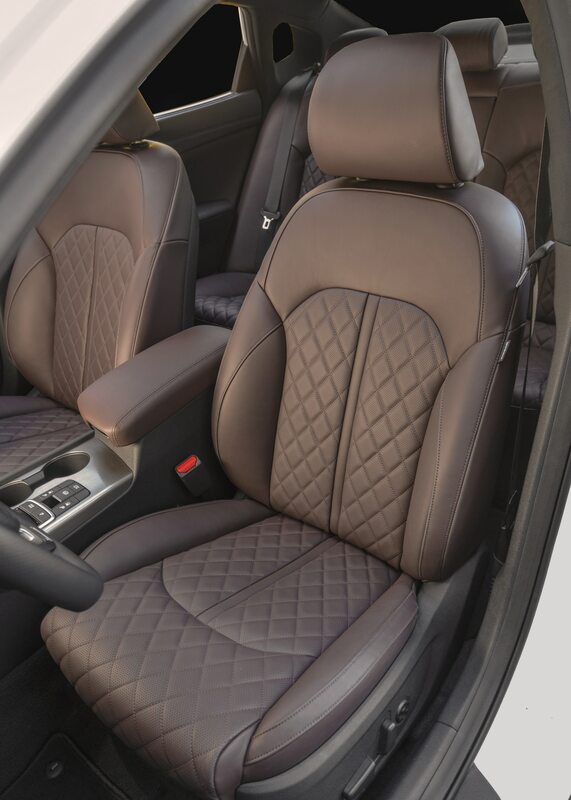 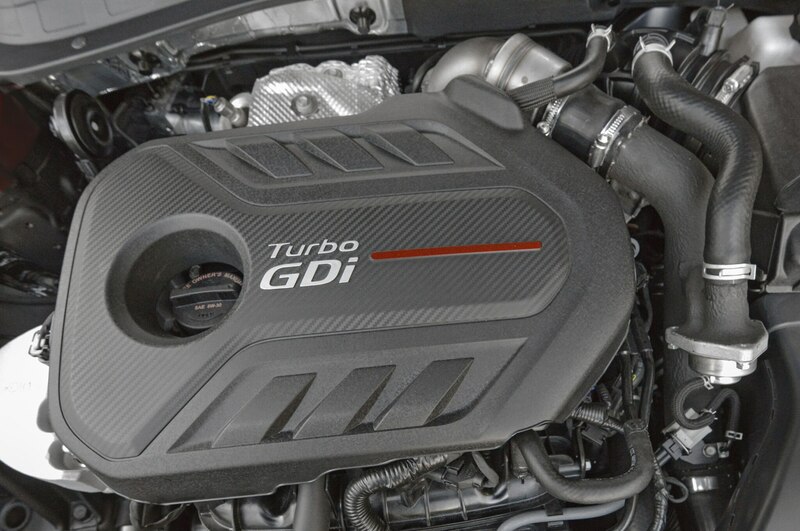 In keeping with SEMA style, the 2016 Kia Optima also gets glinting 20-inch chrome wheels, a Ksport coilover lowering suspension, new leather bucket seats with armrests for the rear seats, and a performance exhaust for the car’s 245-hp, 2.0-liter turbo-four engine. 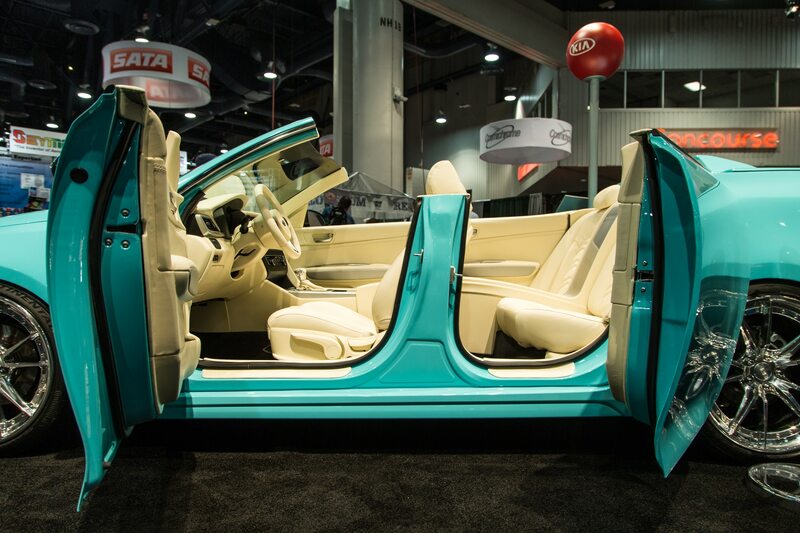 A pale-blue paint job and butter-cream upholstery complete the transformation. 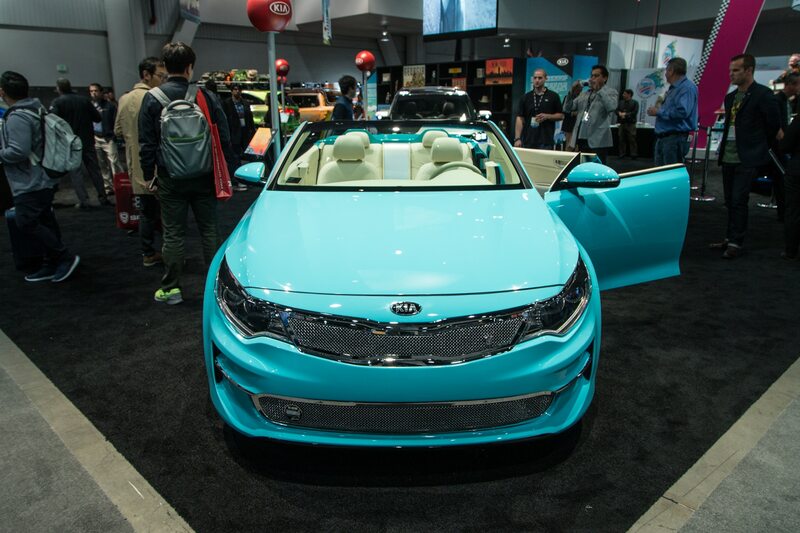 As much as we like the idea of summertime cruising in a convertible Kia, don’t look for this car to reach production any time soon. 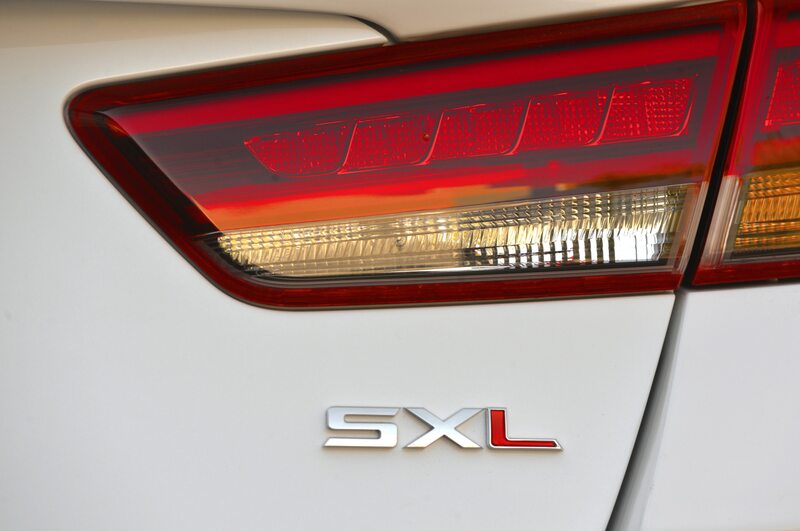 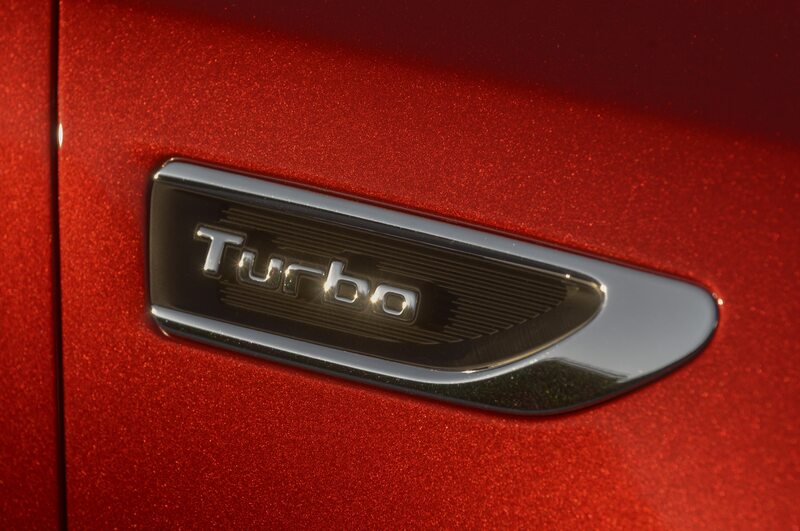 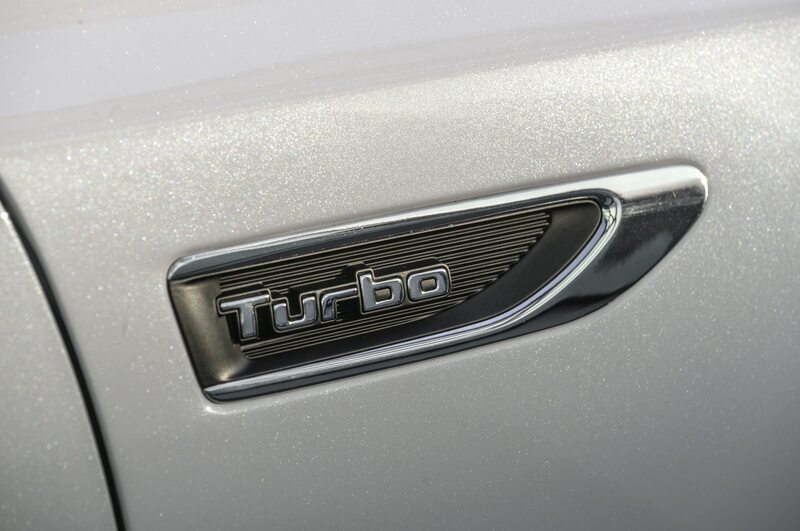 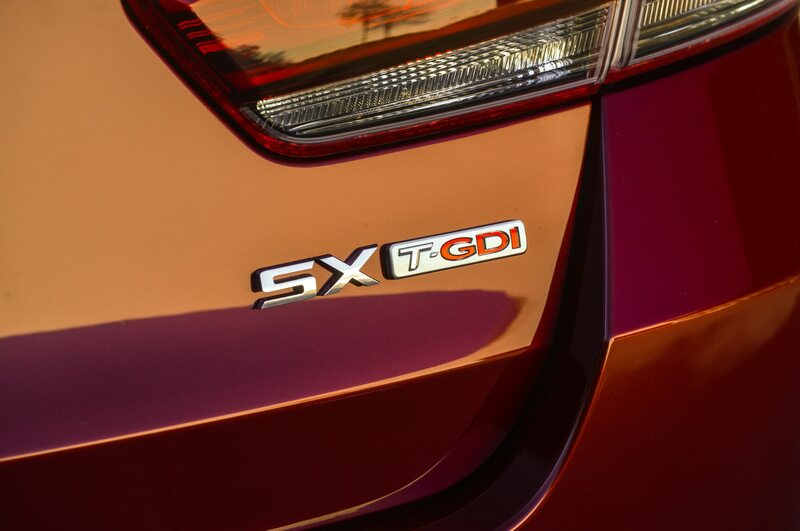 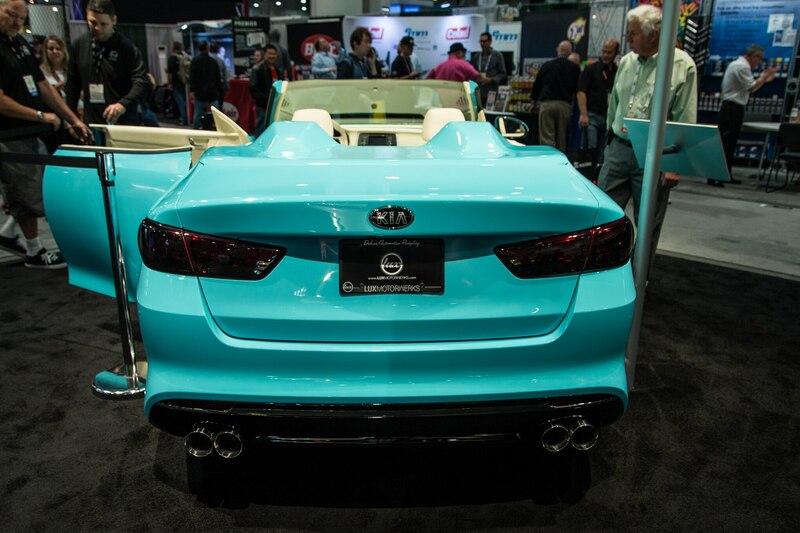 Like Kia’s other SEMA creations, which will be fully revealed on Tuesday, November 3, this one is just for fun. 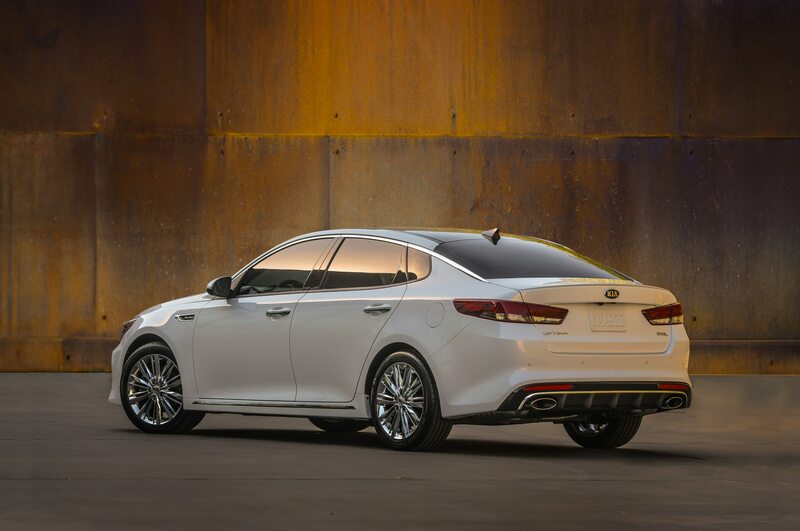 Playing it safe pays off.